Celebrating its 50th birthday this year, the bank received numerous accolades for its achievement on the digital front. In July 2018, Euromoney named DBS the World’s Best Digital Bank for the second time, and World’s Best SME Bank. What caught my eye recently though were the bank’s investments in brand storytelling and content marketing – both online and offline. The bank is pretty active in blogging, and has launched a free financial advisory service called Nav Hub. It also has a fairly active YouTube channel, producing videos covering topics like its social causes, spotlight clients, financial and business advice. And yes, the bank is also hiring a Vice President/ Assistant Vice President to head its Content Marketing function! Thanks to an invitation from Alvin Lim of DBS, I experienced how DBS Bank expanded its SPARK initiative into three inter-twined channels for content marketing and storytelling. Let us begin with Sparks – the online mini-series. You can view the first episode of the 10-parter above, and follow the rest of the episodes here. Sparks follows a group of young DBS bankers in both their professional and personal lives. It weaves in the bank’s products and services as viewers are led through various banking “scenarios” presented in the form of individual episodes. Inspired by true stories and events which happen in the bank, Sparks has all the usual ingredients of storytelling – conflicts and challenges, plot twists, ‘enemies’, and cliffhangers. It also revealed how the bankers could use their resources, networks and imagination to solve seemingly intractable problems. What I liked about the series is how it focused less on “business for profit sake” and more on how business (and banks) can transform lives and change communities. This helps to change the image of bankers being just concerned about profits and financial returns. Since its 2016 debut, SPARKS has garnered over 150 million views and a slew of prestigious marketing awards. 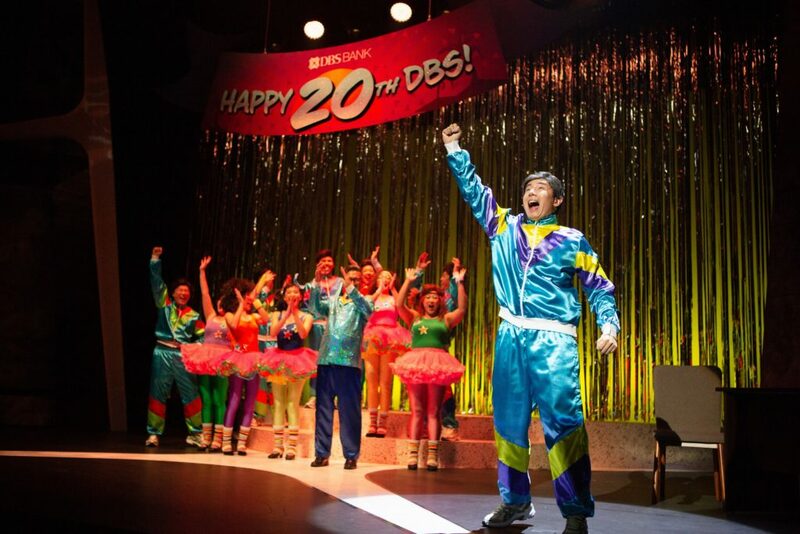 To celebrate its 50th anniversary, DBS worked with Adrian and Tracie Pang’s theatre company Pangdemonium to produce a full-fledged 90 minute musical. 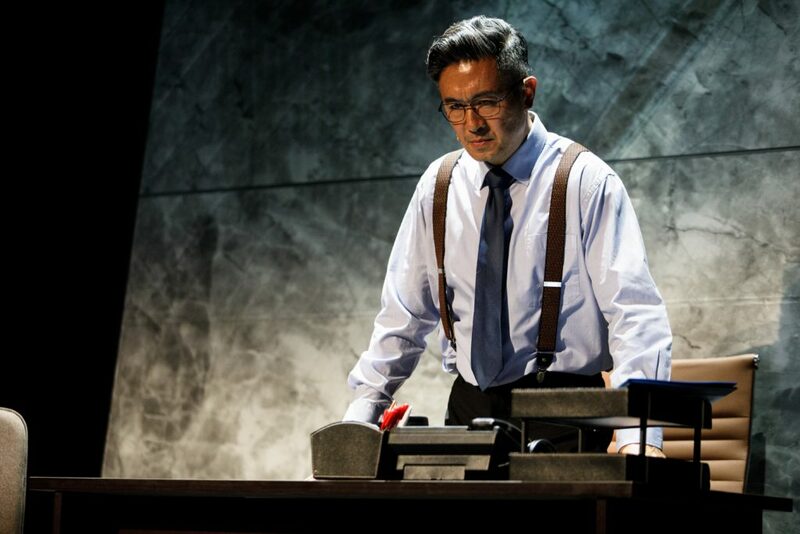 Happening from 3-5 August 2018 at the Capitol Theatre, the musical brought us on a nostalgic walk down memory lane as it traced the career and life of DBS “banker” Chester Teo (played by Adrian Pang, who was one of the main protagonists in the Sparks mini-series). Serving as a tribute to the bank’s pioneers, the story-line of the musical was fraught with drama – complete with deaths, divorces, diseases, and other disasters! 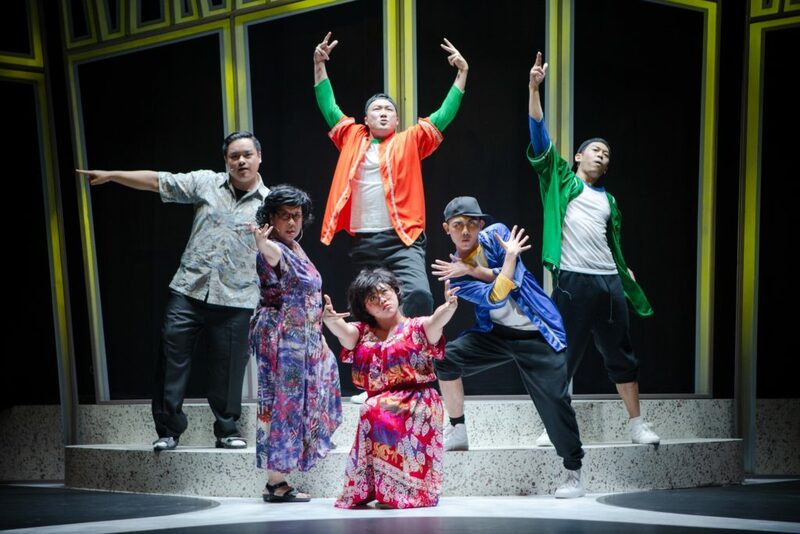 In the musical, the main character Chester brought the audience on a musical tour of banking through the decades, complete with retro songs like Nothing’s Gonna Stop Us Now, Kopi O, Hold On, and Best Day of My Life. It begins from his rookie days way back in 1988, where we’re introduced to the different characters in his team – Boon, Bertha, Siew Leng, Haryati and Su Ching – as well as the bank’s clients and family members. Sticking with Chester through thick and thin, his banking buddies collectively weathered one crisis after another: from the global financial crisis, clients who were cheated to the SARS epidemic. Fortunately, the musical wasn’t all gloom and doom. There were many light-hearted and humorous moments as Chester and his team maneuvered themselves around sticky family and financial situations with aplomb. 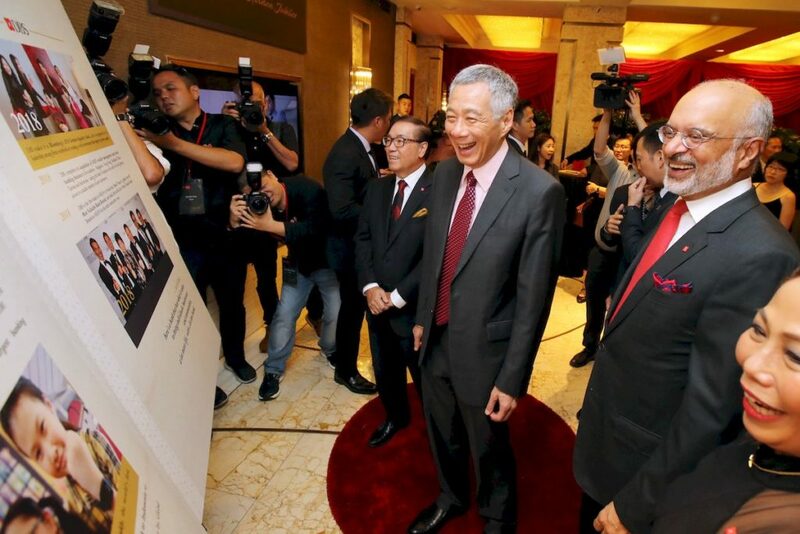 Many VIPs graced the musical, including Prime Minister Lee Hsien Loong as well as many of the bank’s leaders and employees from the early years. 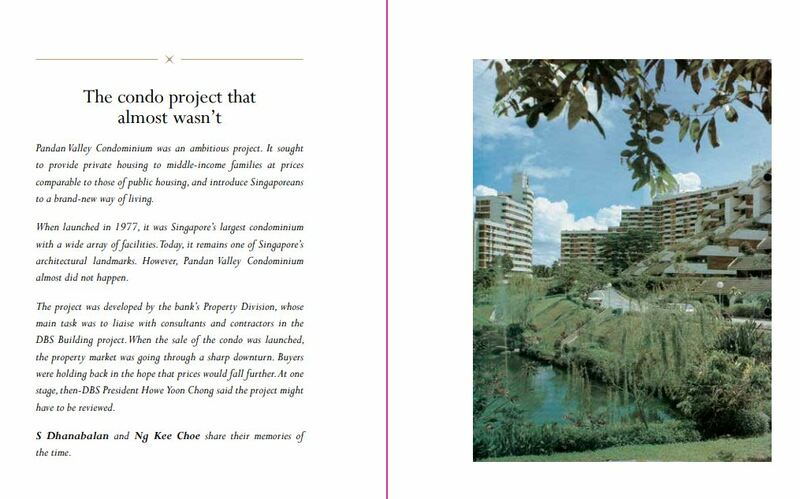 They included S Dhanabalan, Mr Ang Kong Hua, Patrick Yeoh and Ng Kee Choe. 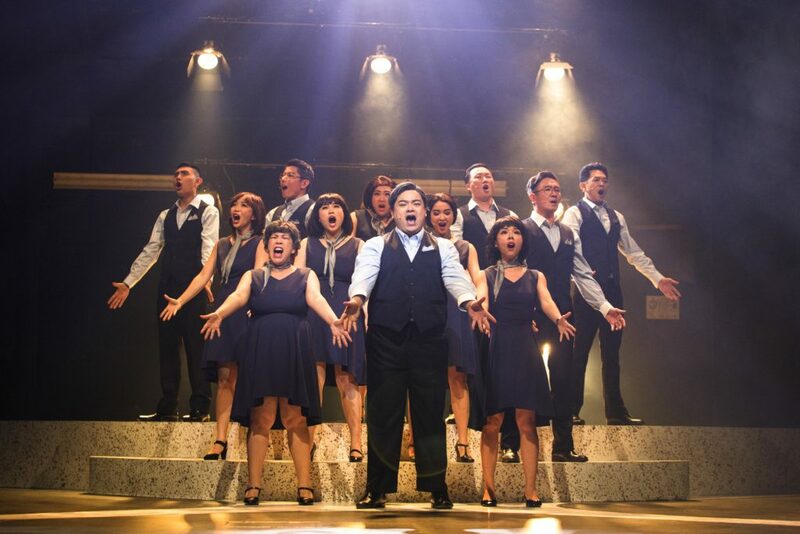 To cap off DBS Bank’s 50th anniversary and its content marketing efforts, attendees of the musical were presented with a copy of the commemorative book. Weighing in at about 156 pages, this beautifully bound volume narrates the bank’s history and milestones over the half-century. The book covered some of the key chapters in the bank’s history, including some of the challenges it overcame as it rolled out various banking innovations over the decades. Here’s an excerpt of the stories contained within, lifted from its pages. Do the names of the writers ring a bell? 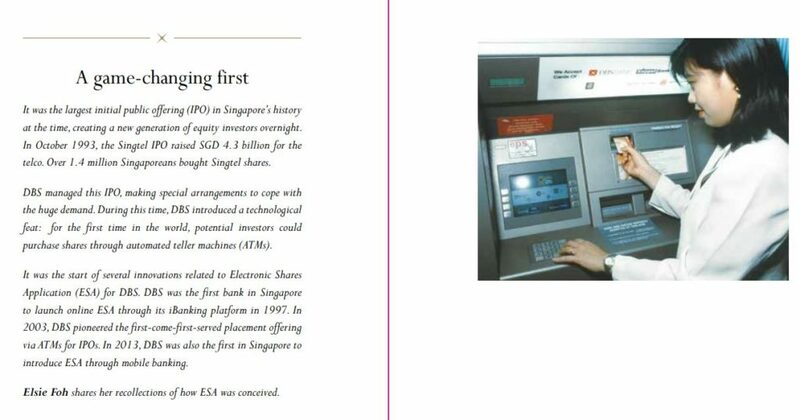 Here’s another excerpt featuring the Electronic Shares Application (ESA) which DBS introduced using ATMs to purchase shares. I can certainly remember this milestone as my dad who was a remisier then asked us to try to get out allotments of popular IPOs by keying our requests into the ATM machines. Beyond chronicling its heritage, the book included little vignettes narrating how the bank’s regional efforts helped to boost the livelihoods of impoverised communities in Asia and beyond. Well, that’s anybody’s guess. From the numerous accolades and awards that the bank has garnered over the past few years, I’m glad that their investment in content marketing and brand storytelling has somewhat paid off. 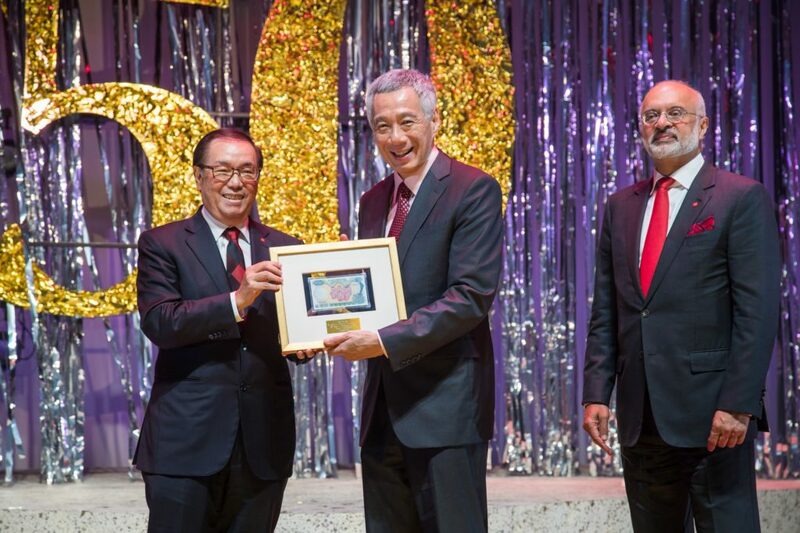 Here’s wishing that the next 50 years for DBS – and Singapore – would be equally sweet and full of smiles. Photo Credits: All images above courtesy of DBS Bank.